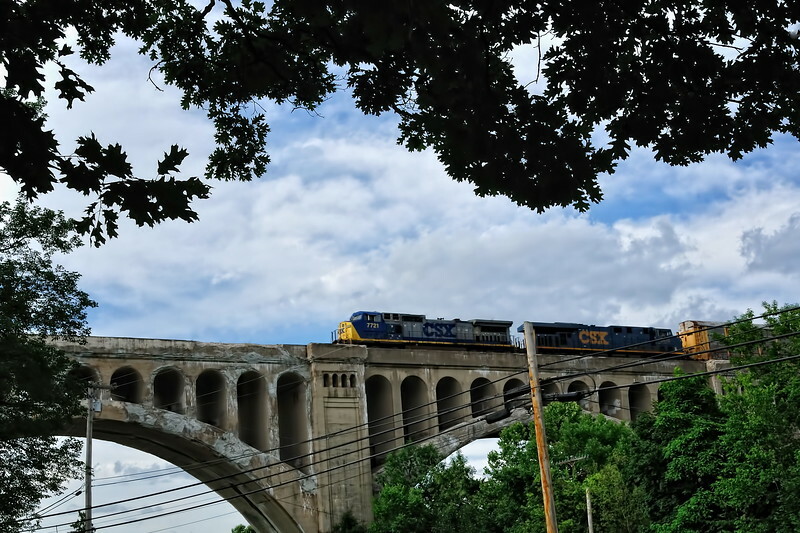 CSX train crossing the Big Four Bridge located in Sidney, Ohio. This land mark bridge was completed in September 1924 by the Walsh Construction Company for the C.C.C. & St. Louis Railroad and hailed as a " stupendous piece of engineering work." Materials included 28,000 yards of concrete and 900,000 pounds of steel . Five men died during the construction which took 15 months to complete.